The grout between the tiles in a humid bathroom is porous, making it easy for mold to seep deep into the materials, but a professional can apply sealant substances to prevent ugly mold growth. Floor tiles are made for walking on and can get dirty quickly, leading to a dull finish with lackluster color. A company that specializes in tile cleaning can use floor-scrubbing equipment to lift debris from grout and floor tiles to make an entire building look better. After winter is over, you may want to spring-clean your house or office to remove everyday dust and grime that has collected for several months. Spring-cleaning an entire home or business is tiring, but you can hire tile and grout expert technicians to sanitize the tile and grout that is located in kitchens, bathrooms , and everywhere else. Your business or home probably has a lot of tile on its bathroom’s counter-tops, floors and walls. A specialty company has all of the tools and products needed to clean, sanitize and seal bathroom tile quickly. If you are moving into an older home or business, then have the tile and grout cleaned and repaired. The best way to renovate a building is before moving in, and knowledgeable technicians can use heavy-duty equipment to scrub away debris and mold. A company that specializes in cleaning tile and grout has the tools and cleansers required to make pool areas, walkways in malls and so forth look like new. Grout and tiles located outside is subject to foot traffic and weather, and this is why you should have the materials sealed to be water-resistant. One of the first things that customers notice when entering a business is its cleanliness. 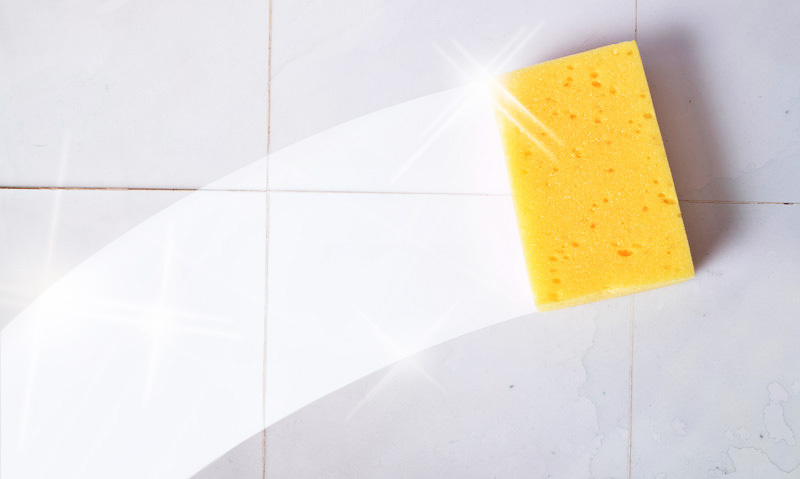 If your restaurant, office or store has filthy grout and tile on the floors, walls or counter-tops, then customers may leave the business without with a bad impression. If you want to have an attractive ambiance in a building, then have a technician change the color of the grout located between the tiles. Not only can a staining product change the color of grout, but also, it seals and protects to prevent discolorations from spilled debris. It is often difficult to sell a home or business in a poor economy, but having a building that looks top-notch by hiring a professional tile and grout renewal technician can lead to more offers for a property. When the grout in a building is contaminated with mold, you are breathing a toxic substance that can lead to asthma attacks or sneezing. Mold in a building can cause sinus congestion or chronic headaches, but a technician can remove the growth from grout and tile.